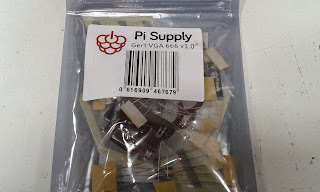 This is how to Set up the Gert VGA666 for Pi Supply I have a previous post on assembling the components if you haven't already done so please check it out here. 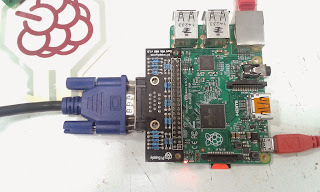 Be aware that you are changing the where the Pi is going to output it video if you have the option I would recommend setting up over an SSH connection. Firstly you'll need to download the required software to run the Gert VGA 666. Make sure your Pi has an internet connection. Then you will need to copy the driver file into /boot/ and rename it. 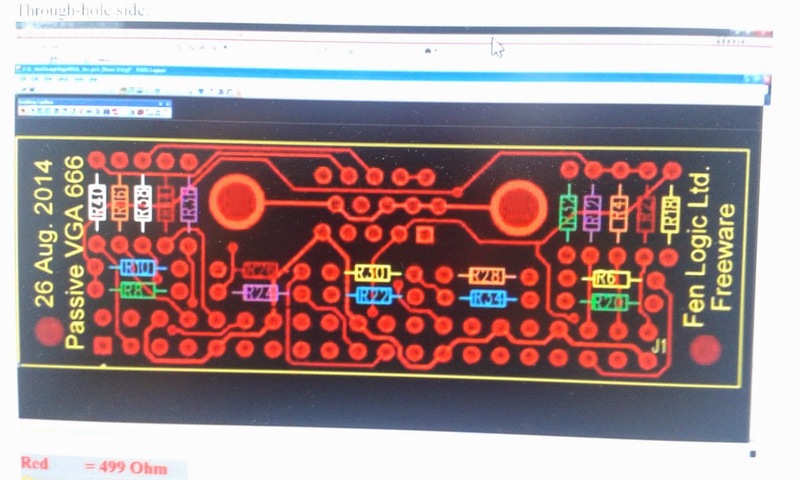 Now the final step is to add it to your raspberry pi configuration. So to open the configuration file. The you'll need to add. 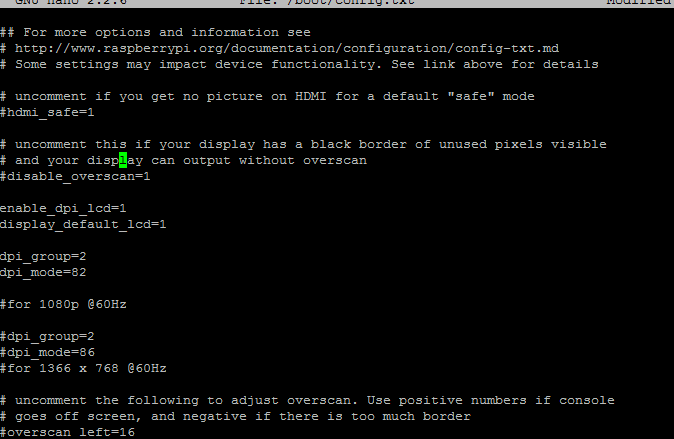 These are the two screen modes I have tried myself please now the resolution values are the same as setting the resolution for the HDMI output, a full list can be found here. 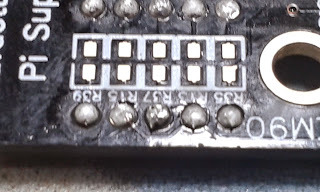 The first time that I tried this the VGA work for about 10 seconds of boot time the the text turned yellow and then vanished dropping my screen into power saving. 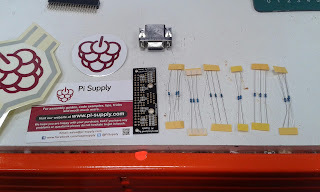 I was using a Rasbian image that had some of the GPIO setup for various tasks so it was 'grabbing' some of the GPIO for other tasks this was fixed with a fresh burn of Raspbian. 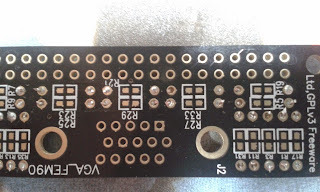 This is great add-on to the Raspberry Pi and the documentation makes for interesting reading as it goes into an explanation of how it generates and analogue signal from the GPIO header, and makes for great learning and soldering practice. 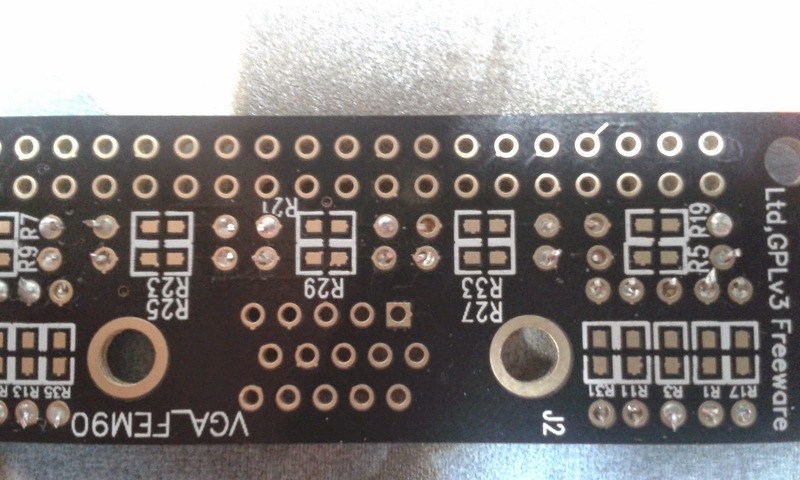 This is in no way the perfect solution for VGA output on the Raspberry as it will have the occasional slight shimmer on the display and it uses huge chuck of you GPIO to drive it. 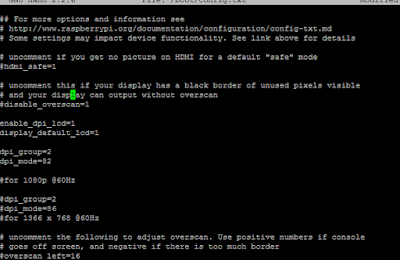 So if your you are looking for a VGA output from your Raspberry Pi I'd recommend a good HDMI to VGA adapter. 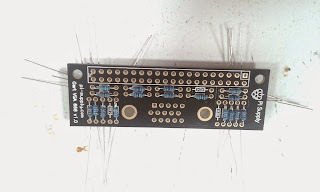 So I award this 3 of 5 Sparks it was fun to assemble the documentation could be a little clearer but as a learning exercise it's fantastic. So i have had this rocking around for some time now and I though it was high time that i gave it a test run. 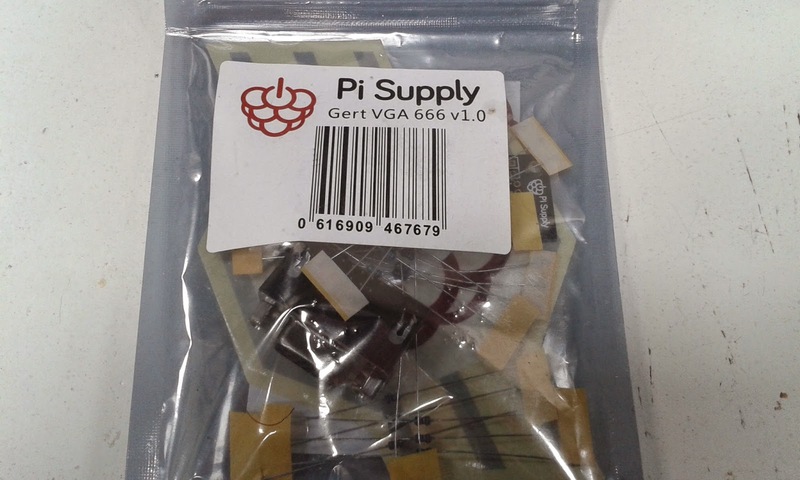 This is the Gert VGA666 from Pi Supply. 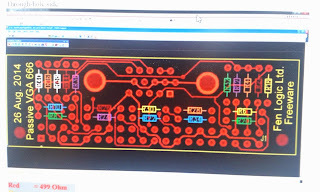 Designed a by Gert Van Loo of Raspberry Pi fame and ran as a successful kickstarter campaign back in October 2014 ( which is where mine has come from ). 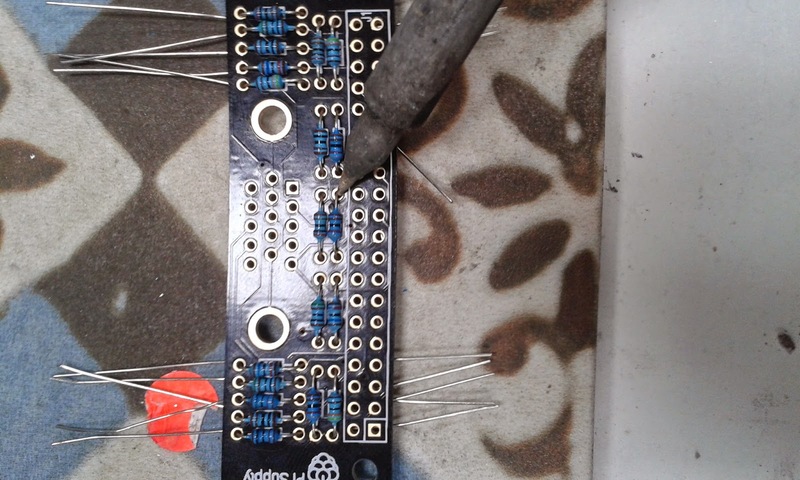 The Gert VGA666 is a clever breakout board for the Raspberry Pi that allows it to use the GPIO header to generate a VGA signal. 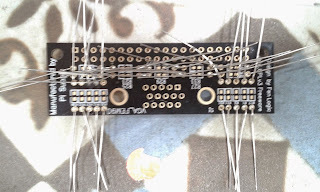 This done with only 20 Resistors to mimic an analog signal the VGA monitor use the obvious downside to this is that you use up a lot of the GPIO pins. 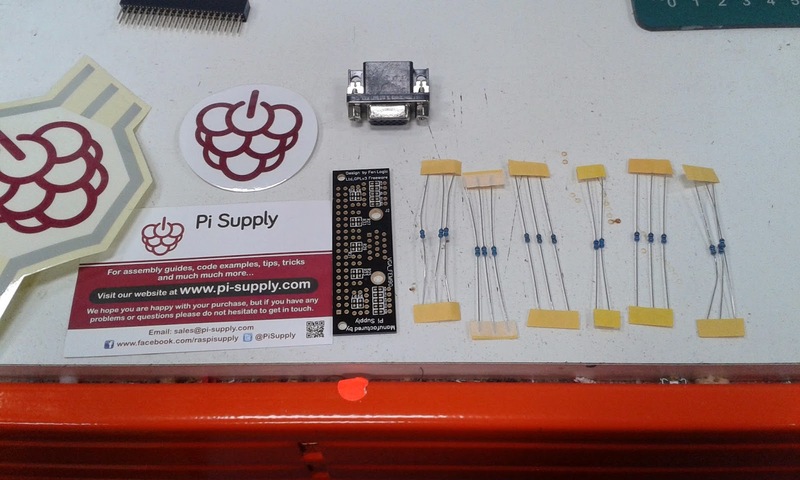 On the Pi Supply product Page there is a link to a Github Repository that contains the instructions, some of the details on how it works and the required files to make the Pi work with it . 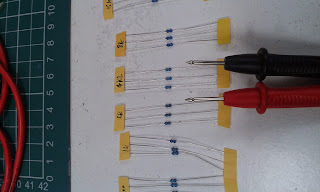 This first thing I recommend doing is layout the parts and use a multimeter to check and label the tapes of resistors with all their values on the blue cased film resistor I find the colours hard to distinguish so i usually go straight for the multimeter as better choice than tying to remember my resistor band colours. 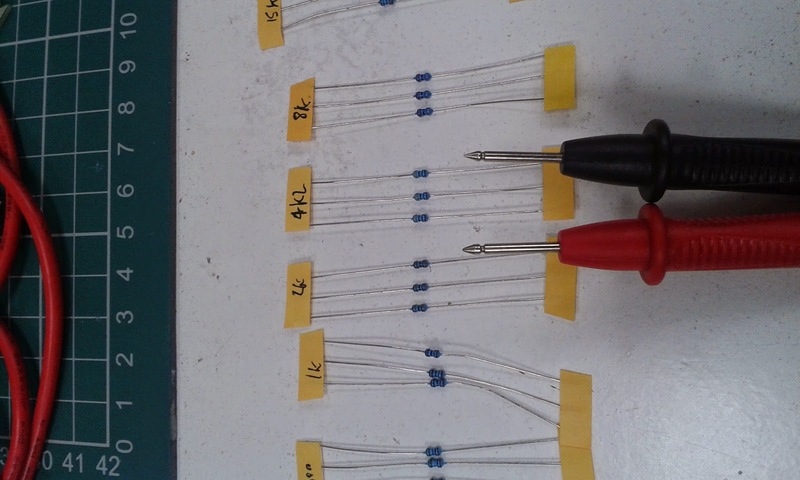 I find the colour key in the instruction a little hard to follow so here is a Bill of Materials for the Resistors. 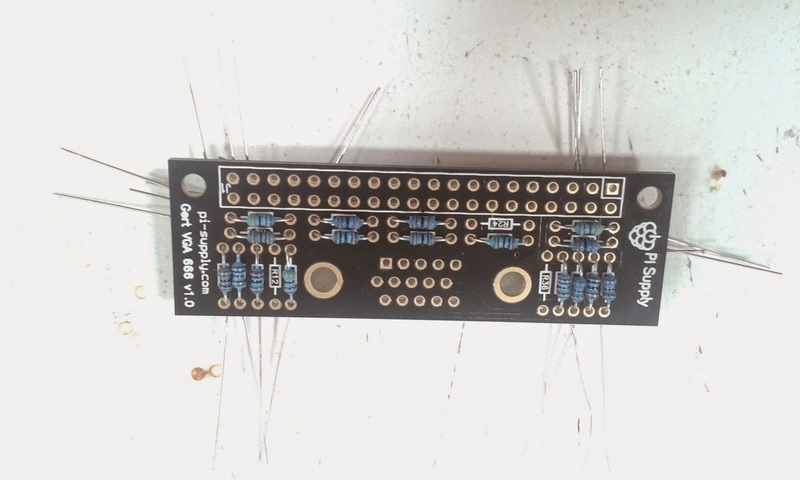 Then it is just a case of placing all the resistors in their correct locations and fold the leads outward for me I like to place all the resistors first as this lest me see if I have any location wrong before soldering. 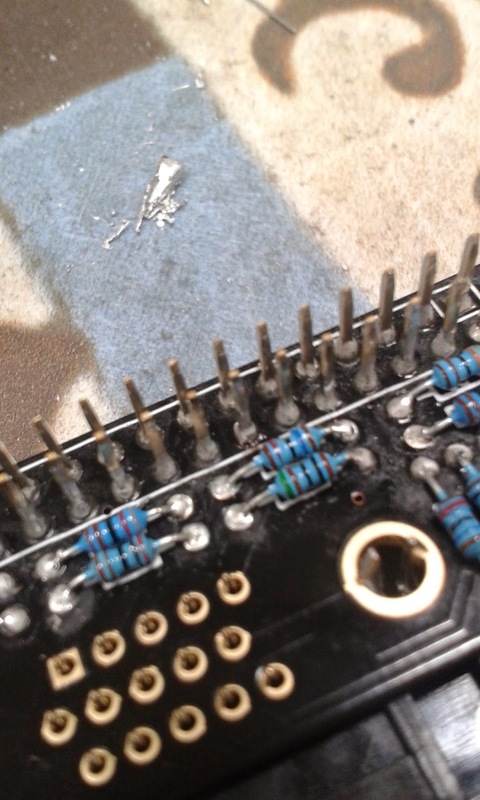 The back of the PCB becomes a bit of a 'Rats Nest' of resistor leads but there is plenty of space to solder them form the topside. 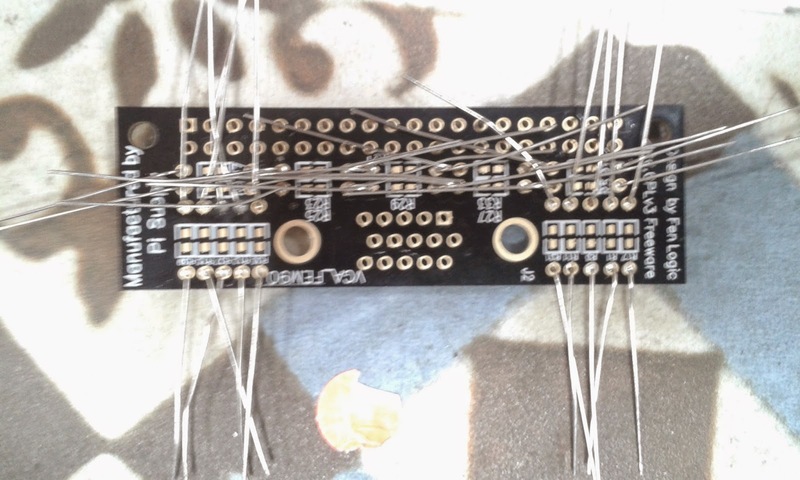 After soldering use a sideways cutter to trim all the leads if and if there are any joins looking a little low on solder apply more (best to do this as a better solder joint will give a more stable signal). Then it is just a case of soldering first the GPIO connectors soldering one corner pin first to make sure that it is flush to the board then solder the rest of the pins you can insert the VGA connector if it makes the PCB a bit more stable to solder for you. Then solder up the VGA connector.